First of all, where is the snow? Even though I prefer summer I wouldn´t mind having some white snow to lighten up our days. Anyhow, November might seem as a more quiet month for Timshel but that is not the case at all. Even though we don´t have that many gigs this month, we are still working hard. We started the month on Tuesday by testing out some new songs and sending out our demo to people we think might like what we´re doing. 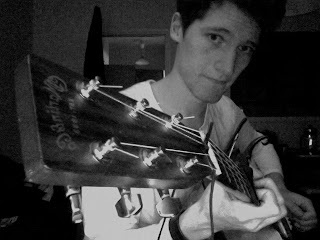 And I (Markus) have gone into writing mode and have several new songs in progress. I also skyped with Igge today, and we have some exciting plans for next summer. If all goes well you will know what we were talking about in spring. Now off to see our friends in Roy And The Fishermen play at Bossaliina in Turku. I hope to see some ukulele-blood like last time.